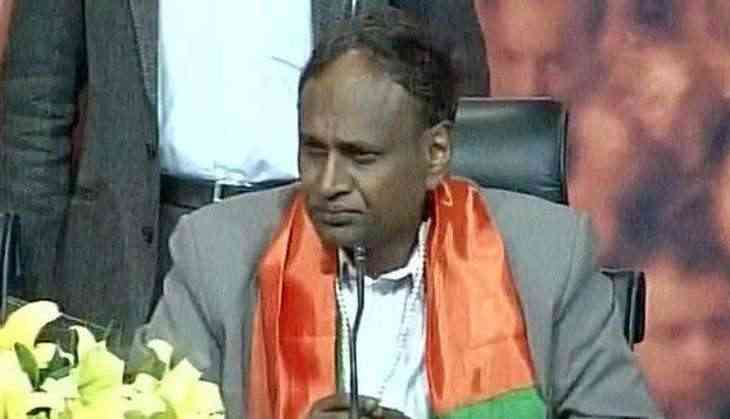 Terming the mass conversion of Dalits to Buddhism as a "dangerous situation," Bharatiya Janata Party (BJP) MLA Udit Raj on Monday cited "social injustice" as the prime reason. Raj while talking to ANI, said that the Dalits face atrocities for a number of reasons and that could have influenced their decision. "The reason is social injustice. Dalits are beaten up for even having a moustache. I do not know what alternative they have. This is really a dangerous situation," he said. On Sunday, a group of Dalits in Gujarat's Una renounced Hinduism to convert to Buddhism. The residents claimed that they took the decision as they were not considered as Hindus and were not allowed to enter temples. Earlier on March 1, a similar incident came to light in Karnataka's Kalburagi district, where over 60 Dalit families converted to Buddhism. The main reason for the conversion was cited as oppression and abuse from the upper-caste Hindu members of the village, who attacked and defiled some Dalits.